As a singer, Pierre Louis Godeberge has performed in several choirs in Paris, in the opera chorus of Metz, Tours and Toulouse. He has also sung recitals (first performance of José David's Chansons Vendéennes). As a conductor, he was Nicolas Brochot's assistant in Jacques Offenbach's Les Bavards (1991) and Musical director of the show « Les Voix du Sérail», directed by Michel Giès, created and presented by Ève Ruggieri in the Festival de Carpentras 1992. After being awarded a scholarship from the Robert Shaw Choral Institute (Ohio/USA), both as a singer and choirmaster, he went to the USA between 1994 and 1997, thus being advised and conducted byRobert Shaw as part of the Robert Shaw Festival Singers both in France (Souillac in Quercy) and in New York City (concerts in Carnegie Hall). Under Robert Shaw's direction, he also recorded two CSs dedicated to twentieth century European and American choral music (‘Diapasons d'Or' in 1995). Few years later Pierre Louis Godeberge founded the Groupe vocal GYMEL (1999), a chamber choir dedicated to European vocal music from the nineteenth century onwards. 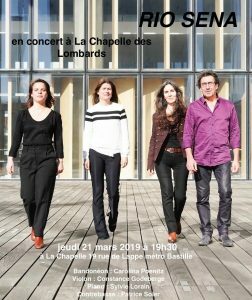 As its director, Pierre Louis Godeberge has given with the Groupe Vocal GYMEL many concerts in France, Paris and its metropolitan area, in Champagne-Ardennes, Touraine and Normandy. He has conducted both religious and secular a cappella repertoires, notably Slavic and Church slavonic music. He has also premièred works by French contemporary composers (Bicalho, Maillé, Marçot, Marti). 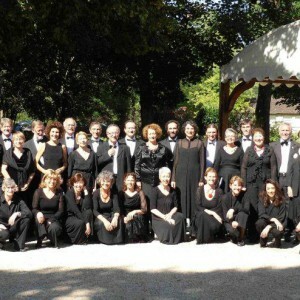 In 2007, the ensemble was finalist at the national competition of the “Florilège vocal” of Tours. Hailing from a family of musicians, Pierre Louis Godeberge learned to play transverse flute under Gaston Crunelle and Philippe Gauthier at the Conservatoire du 10e arrondissement de Paris. After studying musicology at Paris (Sorbonne) University, he studied conducting with Jean-Claude Hartmann at the Conservatoire of Evry, Pierre Dervaux in Paris and Constantin Bugeanu in Bucharest (Rumania). He studied lyrical singing with Gabriel Bacquier, Marie-Claire Cottin in Paris and German Lied with Paul von Schilhawsky in Salzburg (Austria). Since the late 80′ he began studying choral conducting at National Music School of Créteil and in Paris with Paul de Plinval and Stéphane Caillat, Konrad von Abel (Fondation Sergiu Celibidache), Pierre Cao and Catherine Simonpietri at the Institut Européen de Chant Choral (INECC, in Metz) and at the Conservatoire of Luxemburg (Luxemburg). Pierre Louis Godeberge teaches choral conducting at Conservatoire National de Région Francis-Poulenc in Tours(Touraine, Loire Valley). He is also responsible of Choral Conducting and Choral Singing at the Department of Music and Musicology of the Université François-Rabelais de Tours. He conducts the Choeur de chambre de Tours with singers from both University and Conservatoire of Tours. He gives training courses and workshops in choral conducting and choral singing at Cepravoi (« Mission Voix » Région Centre) and Les Voix de l'Aure-Orphéon in Bayeux (Normandy), and teaches yearly themed workshops in choral singing (Serge Rachmaninov's All-Night Vigil opus 37 in Paris and Tours, 2011-2012). In spring 2012 he was guest conductor and gave mater classes for the Glendale Concert & Chamber Singers in Los Angeles (USA). Pierre Louis Godeberge is a member of the IFAC (Institut Français d'Art Choral – French Institute for Choral Singing) Choralies-A Coeur Joie Association, of the American Choral Directors Association (ACDA) and is a member of the SFCC Concil (French Choral Directors Association).